A complete and detailed list of C# Tutorials for Engineering students..
Hello everyone, I hope you all are fine and having fun with your lives. Today, I am going to share the list of all the C# tutorial, which I have posted on my blog till now. So, this post will be like a complete C# tutorial, which will have all the small and big C$ tutorials, I have posted on my blog. This list is quite small rite now but I will post more C# tutorial soon and will add their links here. Actually the C# tutorial are quite random on the blog so I am kind of compiling the list and pasting them all here so that reader won’t get into much trouble finding them. 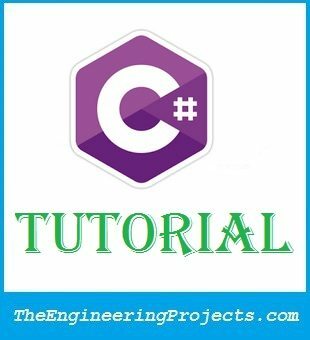 Here are some very basic C# Tutorial, which are just for the beginners and if you know basics of C# then I would suggest you to pass this section as here I am gonna discuss the basics of C#. How to use C# Int Variables ? How to use C# Double Variables ? How to use C# String Variables ? How to use C# Array ? How to use C# ArrayList ? How to use C# If Else Statement ?